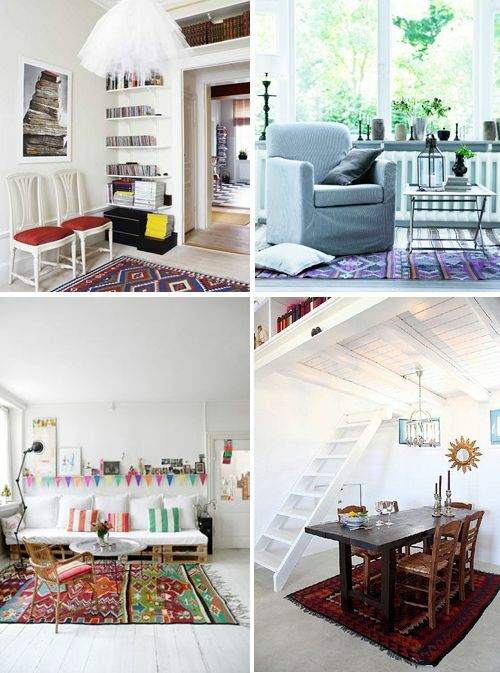 I love the fact that kilim rugs are cheaper than pile fabric - it makes them absolutely perfect to collect. The amazing designs, colors and agelessness of these unique hand woven area rugs keep me fascinated. I love kilims! I remember traveling through Turkey, finding bright new kilim rugs hanging out for display but searching for faded antique kilims. I sent home a few kilim rugs but I found it very difficult to choose just a few when there were so many hand woven delicacies. While kilim rugs originated in Persia you can find versions of kilim rugs from Turkey, Greece, Bosnia, Poland, Albania, Bosnia and Ukraine. Which is great news if you like to collect area rugs. The lack of pile fabric means they are easy to store and move around from summer to winter. Why are Collectible Kilims So Expensive? Answer: because they rarely make it to 100! Kilims might be brilliant area rugs but they do not have pile fabric to protect the warp and weft. No pile fabric means they are not hardy - especially in areas with a lot of wear and tear. No pile fabric also means they are not very good as outdoor rugs. They haven't changed a lot over the centuries - in fact the oldest known kilim has a weave practically identical to modern day kilims, so not surprising woven antique kilims are commanding high prices. Because they are mobile as area rugs - transportable from room to room, house to house makes them very versatile and flexible as flooring. 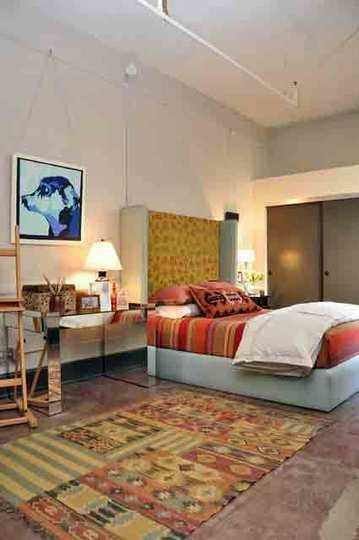 Kilim rugs were originally hand woven for indigenous or home use - not rugs woven for purely commercial reasons. The hand woven designs remained the same as there was no foreign market pressure to do so. Which is great because the original rugs have not changed over the centuries. Kilims became popular once collectors recognized the authentic hand woven village weaving. Ordinary kilims: kilims woven with hemp, cotton and wool threads. Gunny kilim: kilims woven with colored cloth pieces. Suzāni kilim: embroidered raised figures over ordinary kilims. 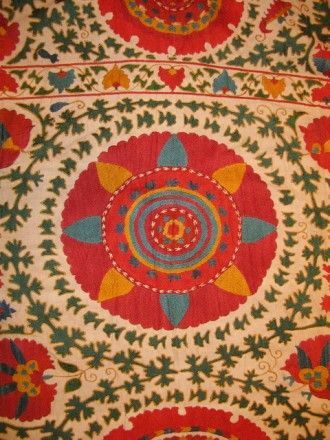 Needlework kilim: kilim to hang on the wall - woven with cotton threads. 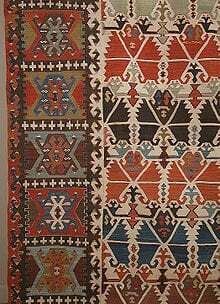 Jol: kilim where the surface is embroidered and often used as horse saddles. Jājim or chador-shab: striped carpet woven with colored threads. Zilu: woven with cotton threads and simple designs harmonious with rural life - cotton warp and weft. 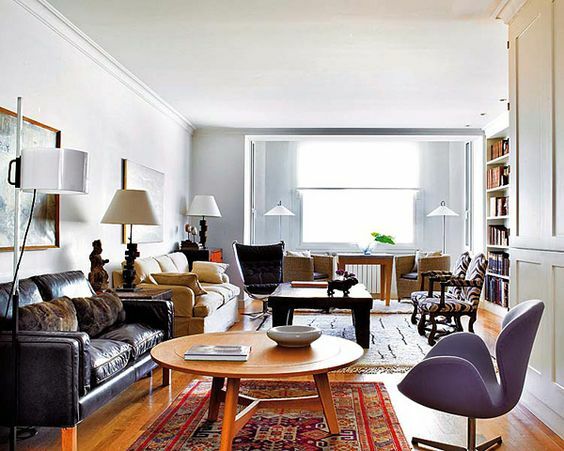 I hope you enjoyed this article on hand woven area rugs. These rugs are great to collect.. of course, until you can afford kilim rugs or antique kilims you can always paint your floor with a rug! Leave a comment or suggestion below and live a Decorated Life!